In 2006 she joined Perinatal Associates of NM working primarily a nurse supervisor in the Fetal Assessment Center, performing Bio-Physical Profile Ultrasounds. 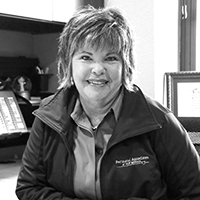 In 2007, with her RDMS certification completed, she became of Director of Nursing and in 2014 accepted the position to develop a Fetal Care Coordination department. She has passion for babies and especially assisting families with their “not so normal” pregnancies. Mia lives in the Rio Grande Valley with her husband of 28 years. She enjoys playing with her seven grandchildren, gardening, birding, crafts, and is an active volunteer in her community.